VIEW VIRTUAL TOUR LINK FOR VIDEO – FURNISHED BEACHFRONT home is ready for new owners! This impeccably maintained 3 bedroom 3 bathroom tri-level home features just over 2,500 sq. ft., 2 car garage, light and bright open floor plan maximizing the unbelievable views of the ocean, gourmet kitchen, exquisitely appointed bathrooms and so much more. As you enter the home you can’t help but notice the direct ocean views from the plethora of windows that line the back of the house. The foyer features a one of a kind temperature controlled wine cellar that then leads into the expansive gourmet kitchen and living room. The kitchen showcases dark wood cabinets with exotic stone countertops. In true chef style, you have two sinks including a smaller vegetable sink in the huge center island. The kitchen opens up to the living room and dining area which allows for the perfect entertaining space. Not only do you have incredible interior living space you also have a large covered porch overlooking the ocean. Up just a few steps is your first full bathroom and bedroom along with the laundry room. On the third floor is your other guest bedroom with Murphy bed and additional full bathroom. Down the hall and with unobstructed views of the ocean is the expansive master bedroom with sitting room and massive en suite bathroom. Enjoy your private covered balcony with sweeping views of the ocean off the master suite. Truly a beachside paradise. Schedule your showing today! 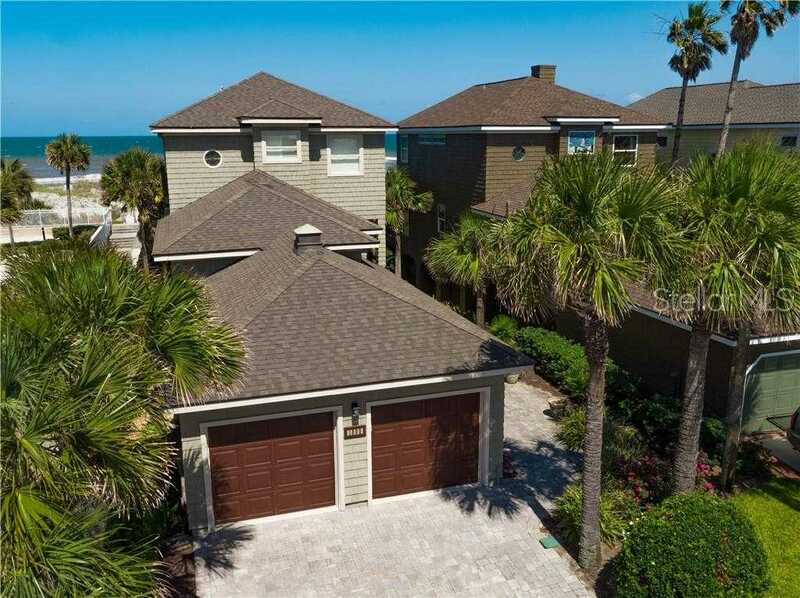 Please, send me more information on this property: MLS# O5762332 – $1,949,000 – 1805 Ocean Dr S, Jacksonville Beach, FL 32250. I would like to schedule a private showing for this property: MLS# O5762332 – $1,949,000 – 1805 Ocean Dr S, Jacksonville Beach, FL 32250.